MobileAssist allows you to have automated back up of data on the phone such as contacts, pictures, videos and files. The Platinum variant of the app gives you a coverage up to Rs. 15,000. Mobile theft is a common problem in the country. However, most of us are mostly worried about the data such as files, contacts, pictures and videos stored in the device than the loss of the hardware. 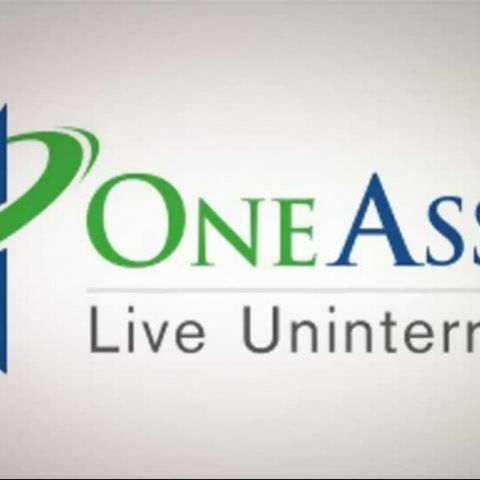 Mumbai-based OneAssist Consumer Solutions Pvt. Ltd has come up with a solution that attempts to address both concerns. It has launched a new service called MobileAssist that provides users automated backup of data on the phone, while a Platinum version gives insurance of Rs. 15,000. We spoke to Gagan Maini, Director at OneAssist Consumer Solutions Pvt Ltd. about the new product and his insights on the mobile insurance sector in India. How does MobileAssist work? What all features does it provide? MobileAssist is India’s first comprehensive Mobile protection service, which protects one’s handset and the data against loss or theft. In the event of loss, all one has to do is make one call to OneAssist and we will do everything to help one get back their life to normal. It blocks your lost phone and locks the SIM to avoid misuse. There is real time data back of your SMS, contacts, pictures & videos, so you get all of it back, in spite of losing the phone. We will remotely wipe out all the data from your lost phone, so your data remains yours. You get doorstep delivery of a temporary handset with all your data on it, so you don’t lose touch. You get up to Rs.15,000 as Insurance cover for your lost handset. You can track the location of your lost phone and you might be able to find it. Anti-virus & Anti-spam to protect your phone against malicious virus attacks. And if you ever stuck, with any function on your high end smartphone, there is an expert, who is just a call away. Browsing protection and parental control to block access to unauthorized sites. You also get the facility of an online locker – Docusafe – which allows you to store all your personal & financial documents, such that they can accessed & shared easily anytime, from anywhere in the world. Once you subscribe for the membership, you receive an SMS with a link to download the OneAssist Mobile Security & Data back –up applications. Once both the applications are on your handset, all the features are live and available to the customer. What platforms and phones is it available on? As of today, MobileAssist is available for Blackberry, Android & Symbian platforms, which constitutes a vast majority of the market., but we are also working towards making the service available for other platforms and hope to launch them soon. Do you see this service becoming popular in India? After all, it is a service people will pay for, and most users don’t want that extra billing. Smartphone has become an inseparable and the most essential device in our lives,. Our research showed that people consider their phones as their second brain. Significantly over one third of them have experienced loss of their phone. The need to stay in touch and wired has become a necessity. Loss of a phone causes a huge disruption in one’s lives throwing one totally of out of gear. There is also a great risk of your personal data landing into wrong hands and being misused. It doesn’t take any time to put the data on the web today. This makes a product such as MobileAssist the most important accessory with a Smartphone. Apart from this, people do spend a lot of money on jazzing up their phones with trendy covers, scratch guards and other attachments. Whereas, it makes absolute sense for the data and the device that is far more precious, being protected for a nominal amount! We have got very encouraging response from consumers and partners and are very confident of customers taking up our service. Please explain the process of claiming insurance. How simple it is? Our customer needs to intimate OneAssist about the lost mobile and on that one call we block his/her phone & wipe the data from the lost phone. Subsequently the customer has to provide following documents for us to process a claim. Nokia also offers mobile insurance coverage with its phones. How different is the MobileAssist from that, and beneficial for end users? MobileAssist is the most comprehensive mobile protection & assistance service in the country today. While other insurance plans would only cover new handsets sold across the counter and not the existing handsets, MobileAssist covers existing handsets as old as up to 3 years. MobileAssist is linked to the customer and not to the device, so even if a customer changes his/her handset during the course of the subscription, the new device will be still be covered, which none of the other insurance companies offer. Do you plan to partner with OEMs to offer the service bundled with smartphones? Will it be a good idea to reach out to more users? We are in discussions with major OEMs, Operators as well as retail partners to offer MobileAssist bundled with their new handsets. We do believe it is a great way to reach a lot of users while providing a range of very relevant benefits to customers. Is any similar service in the works dedicated to feature phones or smart feature phones? As of now, our current products are not on feature phones, however we continue to evaluate this space. What's your take on the future of the mobile insurance industry? The smartphone market in India is seeing rapid growth and the trend is likely to continue. This ubiquitous adoption of smartphones will also result in more information being stored and exchanged through phones. This only necessitates the importance of the security of the data, even more so than the device. However, the average cost price of a mobile handset has increased significantly with better technology devices in the market. Hence insuring an expensive device makes sense for customers, as it covers a significant cost of the handset against loss. 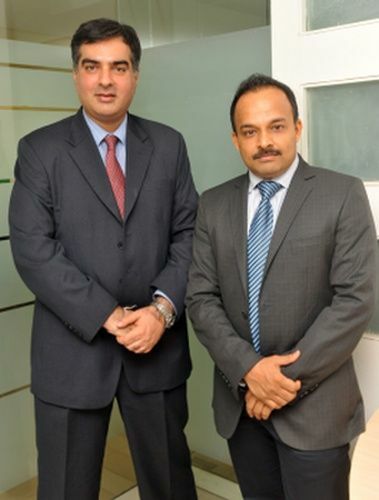 We believe MobileAssist being the most comprehensive product that protects both the data and the device, while assisting customers in times of need, is most relevant for Indian customers. sir i want an electronic device?